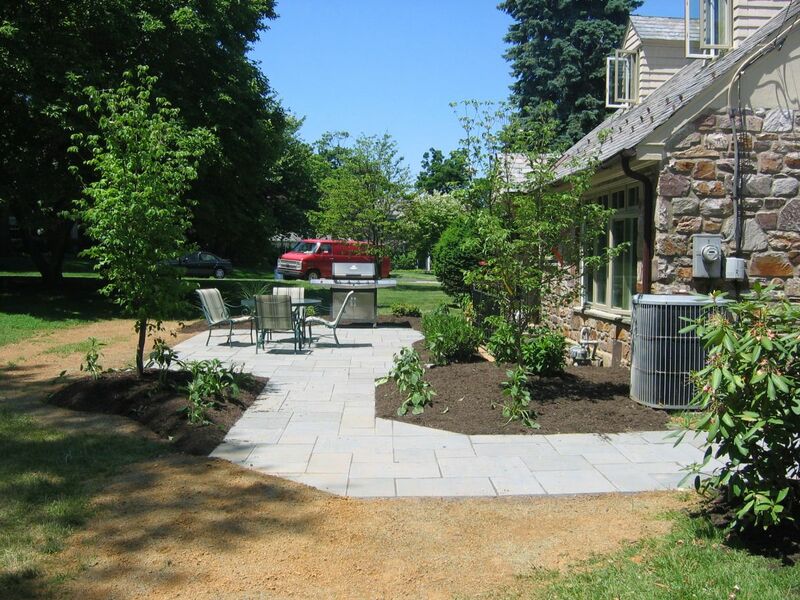 This project involved a walkway from the driveway to a rear patio. 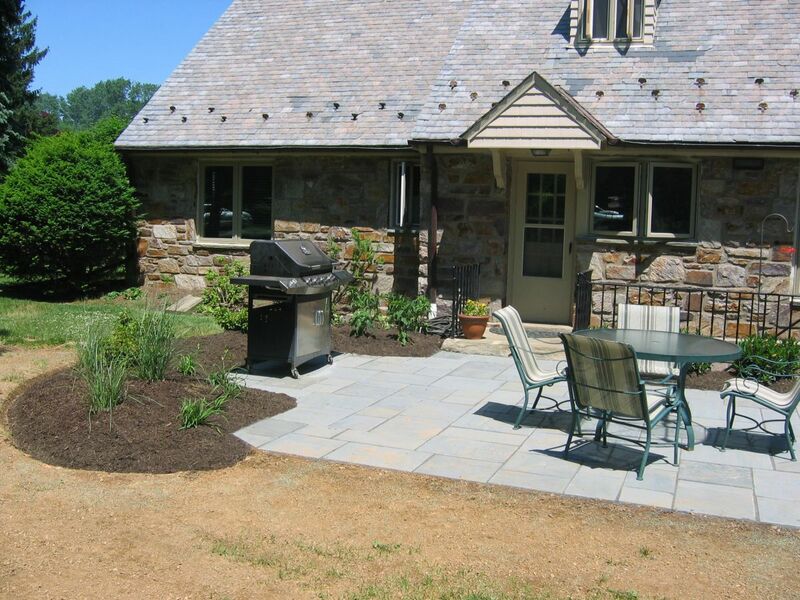 The project is constructed using Bluestone laid in a random pattern. The new walkway provides space for the homeowner’s grill and outdoor dining. We also installed landscape beds around the patio.